Good follow up by Alan on "what do you mean by affordable?". With the release of the Deity S-Mic 2﻿ shotgun microphone, Deity is aiming to hit the peak of the quality to cost ratio. They want to provide a workhorse microphone that everyday video producers, vloggers, and sound recordists can depend on for their needs, at a price point that gives you a lot of bang for the buck. @Vitaliy Wow, thanks. That is one of the more refreshing articles I've read. The quality vs price factor is always difficult to explain to people, especially students, who always get distracted by thinking their work will be compromised if they don't have "industry standard" gear. Well, I won't bother with quality for someone who not use such on big sets and do shooting every day a lot. We did review of very cheap on camera mike compared to Senn shotgun+good recorder, and with proper processing and noise reduction it is hard to tell them apart. I think no one told that it is on camera mike :-) I just provided primer of another cheap mike. One of the main selling points of the MKH 416 is that the diaphragm is polarized by an RF voltage rather than a DC voltage. Rode copied this attribute in their NTG-3 shotgun microphone. So, both MKH 416 and NTG-3 are externally RF polarized microphones. 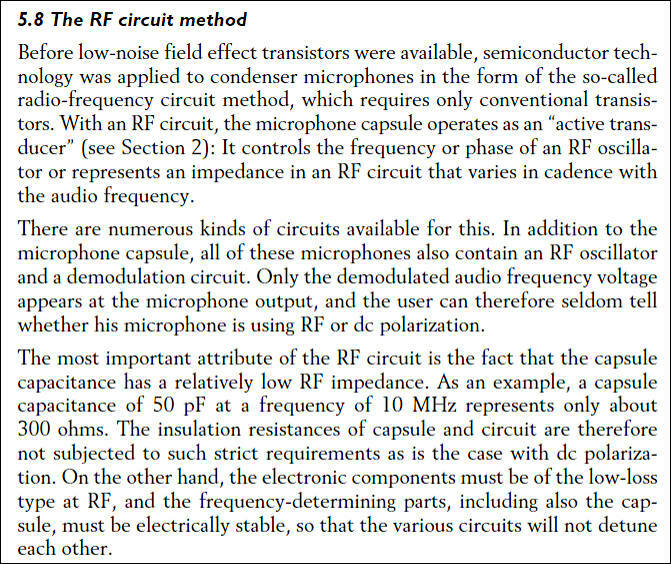 So, RF approach originates from simple engineering problem that existed at the time (and does not exist anymore). Deity S-Mic 2 does not use RF voltage on the diaphragm. The Deity S-Mic 2 uses DC voltage. Problem? Probably not because of what else Deity has designed in, but I guess we won't know for sure until a number of them go into the Amazon, or Washington, D. C. in the Summer. The Deity S-Mic 2 is a backplate charged electret mic. Let me stop right now and say, you can hear or read stuff that says "True Condensers" are better than "Electret Condensers." If someone hands you that crap, kindly stop listening to them. You can continue to bob your head as though you were listening to them, but DON'T LISTEN! I have discussed this with a number of German Tonmeisters over the years who worked for AKG and Neumann. In every case they responded by saying that, certainly, electret microphones can be made as good as externally polarized microphones. So, good electrets are better than bad externally polarized mics and good externally polarized mics are better than bad electrets. Prepolarized microphones contain a stable charge in the electret layer on the backplate, If an external polarisation voltage is accidentally applied to the prepolarized microphone, no permanent harm is done. However, the sensitivity is significantly reduced by 10 dB or more as long as the external polarization is sustained. So, author actually does not understand basics. It is also good reason why all good microphones are not electret. As best microphones have very thin membrane, and you can't do it with prepolarized mike as it needs layer that actually makes it electret capsule. I won't go that using some scans of manufacturers claims about frequency response of such mike model (in general), calling it EQ curves and seriously talking based on this is quite pointless business. And it is really good idea to compare it to open-box/used NTG3 mikes, as such mike, if you are patient and watch for it, can be got for almost $359 USD of new S-Mic2 price.